PPC services or Pay-Per-Click, can give you the opportunity to rank your keywords and business at the top of the search engines. Pay-Per-Click advertising can be very effective for start-up companies or niches that have difficult keywords to rank for. PPC also allows you to list your website on relevant partner websites. This gives you instant targeted traffic for the keywords or your choice and its an effective tool to use alone or with your SEO services. At Hale Web Development, we can create and run all your PPC campaigns. Having the ability to monitor keywords, we’ll be able to help you optimize your campaigns, conversions and help you achieve the lowest cost possible for your ads while building conversions for premium ad performance. 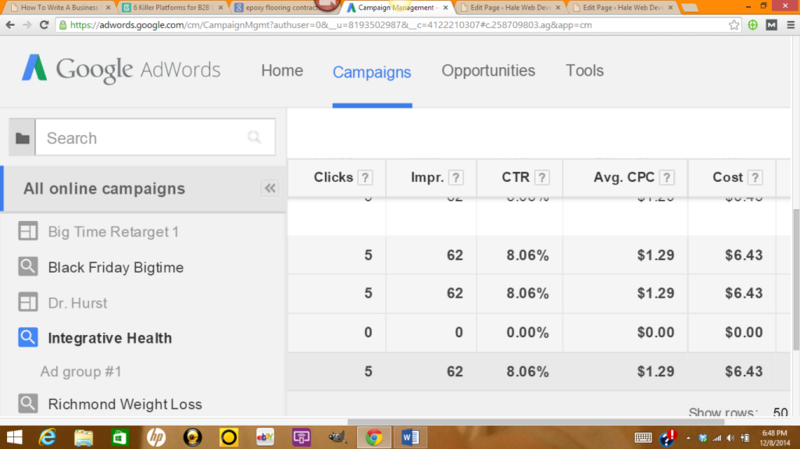 PPC is all about (ROI), return of investment. Successful PPC campaigns are the campaigns that bring in more money then the cost of your PPC advertising. It can take time to find the right ad as trial and error has to be used to evaluate results. Yet, with proper optimization of your ads, PPC advertising can be rewarding for your company. PPC advertising can be expensive and many companies choose to invest in other services. However, when used correctly, PPC advertising is extremely effective. With proper evaluations and careful monitoring, we’ll be able to provide efficient services and testing until your advertising campaigns are optimized as needed. Google Adwords, Facebook and Microsoft Advertising is two of the biggest PPC companies in the world. Both are great platforms for all your PPC efforts and needs. We’ll create all of your PPC campaign, monitor them and evaluate them. We’ll build strategic results, evaluate the analysis and provide the best PPC campaign for your business needs. There’s a variety of different pay-per-click advertising techniques that can be used for your business. It also depends on what platform you choose. Google is the largest platform for PPC marketing, but not the only option you have. 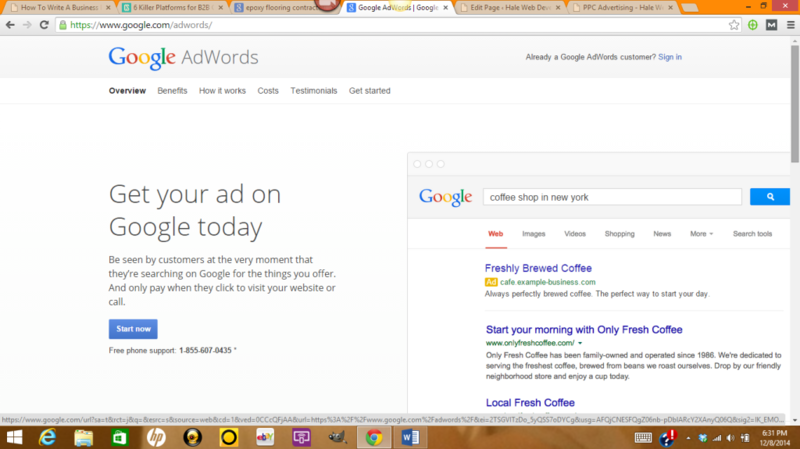 Bing, Amazon, Facebook, all of them offer PPC advertising solutions for your business. Through case studies, testing and experience, I can confidently say that pay-per-click marketing doesn’t work for every business. It depends on the niche you’re in, the services you offer and the products you sell. Our marketing team will evaluate your products, services and market data to determine if your business can benefit from PPC advertising. Hale Web Development understands how important your PPC investments are to your bottom line. We’re experienced with working with tight budgets that need results. It doesn’t matter if your pay-per-click budget is $200 or $20,000, we’ll make sure you get your ROI and profit from your PPC campaigns if possible. Contact Hale Associations today to learn how we can help you get your PPC advertising campaigns optimized for performance.